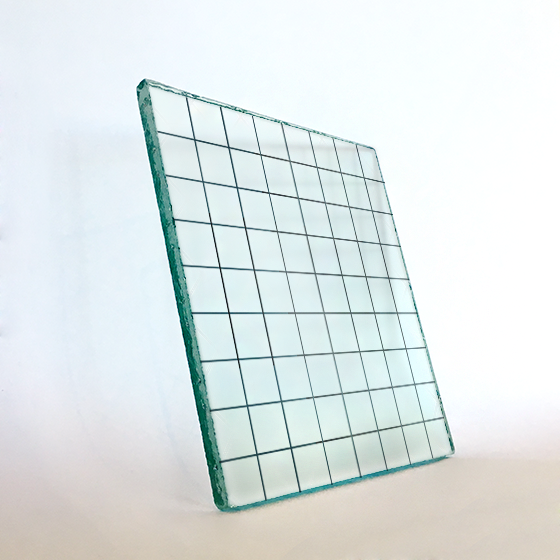 GPW (Georgian Polished Wire) glass has a grid or mesh pattern that is made of thin wire embedded within the glass. 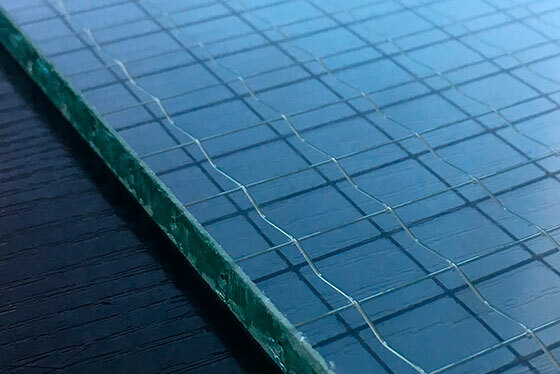 The wire prevents the glass from falling out of the frame even if it cracks under thermal stress and is far more fire-resistant than laminating material. 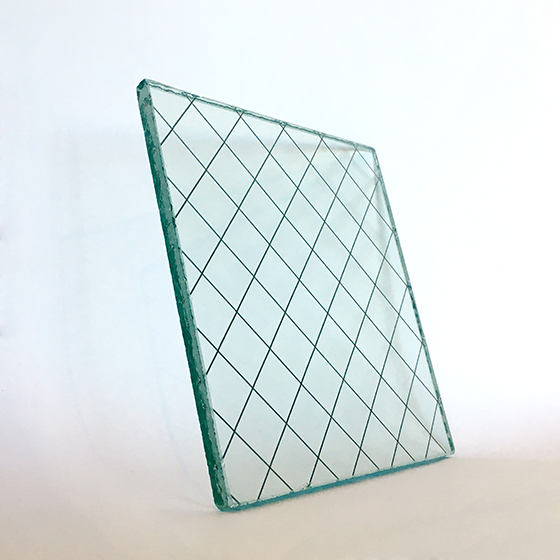 This type of glass is most commonly used for doors, partitions and windows in public buildings such as schools and offices.